Have you ever thought that Facebook might be listening to your conversations? You were chatting with one of your friends about getting a new coffeemaker, and suddenly on your Facebook feed, you scroll across an ad for a new Cuisinart. The chances that Facebook is constantly listening to our conversations throughout the day are pretty slim. One way of disproving this is thinking about the amount of data your phone would have to transfer to Facebook. 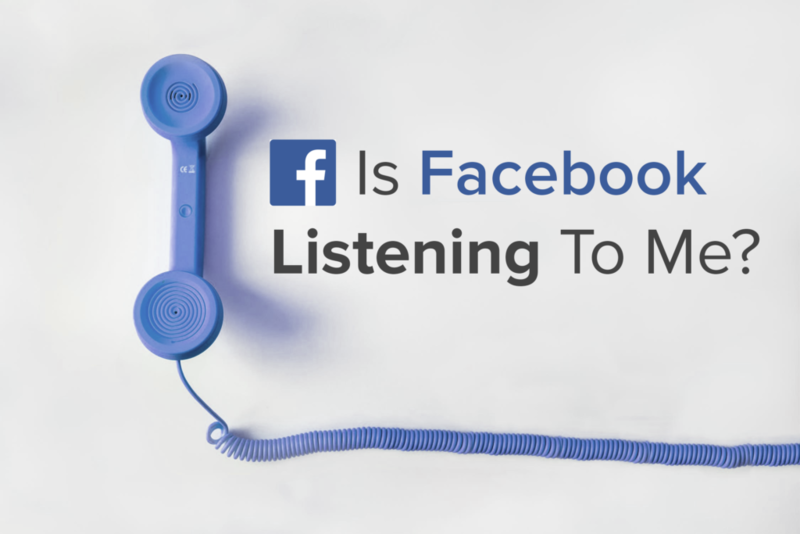 Essentially, if Facebook was listening through your phone’s microphone, it would be similar to being on a phone call with Facebook the entire day. Well, then How Does Facebook Seem to Know Exactly What I Want? 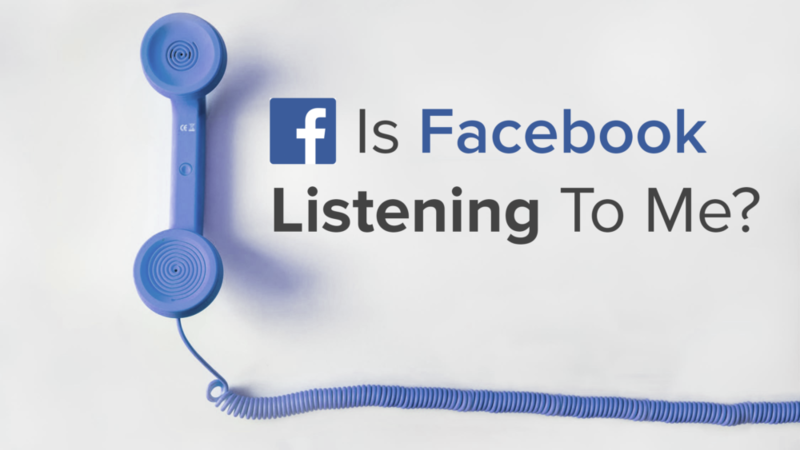 Although Facebook isn’t listening to you through your microphone, it can “listen” to you in other ways, by understanding the things you typically interact with while browsing Facebook. Facebook targets people based on their interests. How does it determine these interests? As a basic example, if you were to click on articles related to baking recipes, you’ll be classified to Facebook as someone who is interested in baking. Facebook first classifies us by these bigger categories, and then as it learns more, filters us into subcategories. It even can get down to brand specifics, like whether someone is an iPhone or Android user. Ultimately, knowing what we’re interested in helps Facebook provide us with a better user experience. It helps cut out the clutter, and show content that is most relevant to our wants and needs. Facebook’s ability to successfully target interested audiences is a big reason Hookd Promotions chooses this platform for digital marketing. We know that when we run digital campaigns on Facebook, pinpoint targeting will enable us to put digital ads in front of the right people and avoid the cost of advertising to the wrong people. In the end, that means your marketing dollars are wisely spent.